Simplified content management for diving professionals and operators. Point, click and drag management of dive sites. Enter basic site information, draw a map, add schedules, images and videos. Divers can add favorite sites and receive notifications when new images or videos have been added or schedules updated. Define daily schedules which integrate with your own credit card processor. This can be done both in advance and on the fly. Stay in touch with your divers and colleagues with one-on-one and group messaging. Images and videos are optimized during the upload process and made instantly available for drag and drop. Add searchable media content to attract new customers. Use a simplified profile to find new buddies who dive your favorite dive spots. Share your assets with your buddies and enjoy quick access to the media belonging to connected stores. Share your experiences with your buddies and plan your next dive together one-on-one or in a group. Find your existing buddies using their cell phone number to simplify connection. Develop a better relationship with your clients and make it easier for new divers to be introduced to your store. Using schedules attached to the sites you maintain, you can maximize your effective exposure to your customers with an integrated chat. Vet people with more ease, begin to build a better directory of your users. Reach a market of new divers expecting to interact with you using more than email and a telephone or unfamilar scheduler..
Just bring quality content for the sites you dive and courses you run with no upfront costs or maintenance fees. 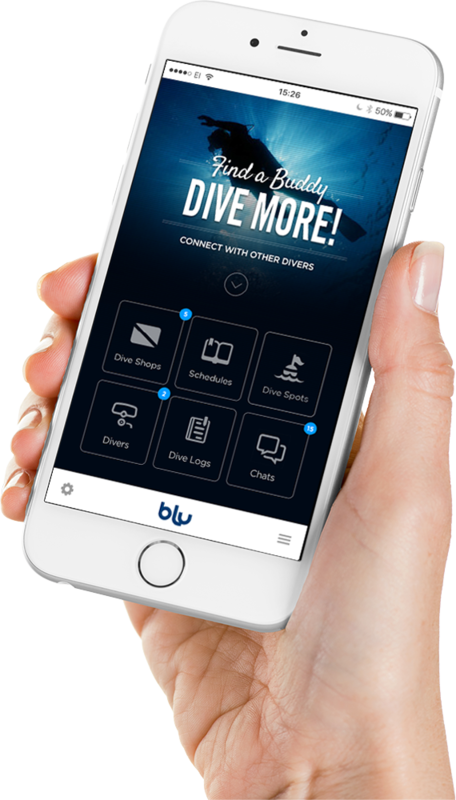 Use BLU for FREE, promote your store and the sites you dive using a set of tools designed just for diving professionals! Digitally sign log books and more with computer integration! Share classes and dives in real-time with an unlimited audience! Sell everything you have in your store to an established market of divers and snorkelers! Not an employee or owner? and I WORK at this store.